Screen Actors Guild Award winner, Brendan Fraser is an American-Canadian actor. He is famous for starring in films "The Mummy trilogy" and "School Ties". Brendan James Fraser was born on December 3, 1968, to Canadian parents in Indianapolis, Indiana, U.S. His father, Peter Fraser was a former journalist, who used to work as a Canadian foreign service officer for the Government Office of Tourism. His mother, Carol Mary was a sales counselor. He has three older brothers, Regan Fraser, Kevin Fraser and Sean Fraser. Relocating every few years for his father's job, First, he went to Upper Canada College in Toronto, Ontario, a private boarding school. He attended his first professional theatre show in the West End, during his vacation in London. In 1990, he graduated from Seattle's Cornish College of the Arts. He started his acting at a small acting college in New York City. He decided to attend graduate school, but he stopped and planned to stay there to work in film industry. His ancestry includes Irish, Scottish, German, Czech, and French Canadian. 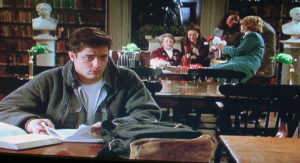 In 1991, Fraser made his debut film landing a bit part in "Dogfight". The movie was filmed in Seattle, stars Lili Taylor and River Phoenix. 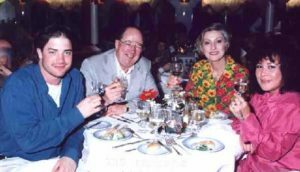 Nancy Savoca directed the movie whereas Richard Guay and Peter Newman served as producer. In 1992 he made his appearance in the comedy film "Encino Man". He played a caveman where he learnt to live in the 20th century. He is very friendly, despite also being very fierce and aggressive in his mannerisms. Following years, he landed a lead role in sports-drama film "School Ties" in 1992. Fraser played a Jewish high school student, David Greene, who is awarded an athletic scholarship to an elite preparatory school in his senior year. Maurice Jarre composed Whereas Robert Mandel served as a director and Stanley R. Jaffe and Sherry Lansing served as a producer. Soon after his experience, his career began to take off. In 1993, he appeared in the comedy film "Younger and Younger". He appeared the role as Winston Younger which was directed by Percy Adlon. At the same year, he made his appearance in the films such as Twenty Bucks (1993) and Son in Law (1993). More prominent film roles soon followed with varying results. In 1994, he starred in comedy-drama film "With Honors", Montgomery "Monty" Kessler. Alek Keshishian directed the movie. He appeared along with his co-stars such as Joe Pesci, Moira Kelly and Gore Vidal. Following years, he also able to made his appearance in the comedy films such as Airheads, In the Army Now, The Scout, but it proved to be a critical and commercial disappointment. Brendan Fraser enjoyed box office success with the cartoon-based live action film "George of the Jungle" in 1997. Walt Disney Pictures with Mandeville Films and The Kerner Entertainment Company produced the film. He played a role as a young man, George, who was raised by animals in an African jungle like Tarzan. Leslie Mann as his love interest; and Thomas Haden Church as her treacherous fiancé. In 1999, Fraser a launched a hugely popular action-adventure fantasy horror film "The Mummy". The movie was one of the biggest films of the time. Stephen Sommers wrote and directed. Filming began in Marrakech, Morocco, on May 4, 1998. lasted seventeen weeks; the crew had to endure dehydration, sandstorms, and snakes while filming in the Sahara. Brendan Fraser played, Richard "Rick" O'Connell", an adventurer who served in the French Foreign Legion. 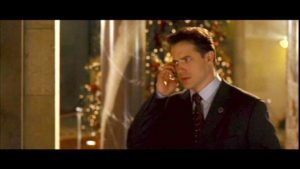 Before signing him, producer James Jacks offered the role of Rick O'Connell to Tom Cruise to Brad Pitt, Matt Damon and Ben Affleck but they a were not interested. Jacks and director Stephen Sommers were impressed with the money that George of the Jungle was making at the box office. 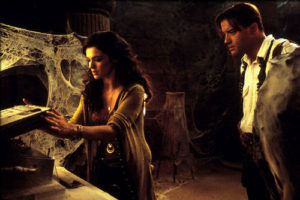 The box-office success led to a 2001 sequel "The Mummy Returns". After seven years later, the third and final instalment, The Mummy: Tomb of the Dragon Emperor. The film was released in the United States on August 1, 2008. Rob Cohen served as director whereas Alfred Gough and Miles Millar wrote the film. This film is set in China, departing from the previous Egyptian setting. In 1998, he starred in "Gods and Monsters". The film was based on the life of James Whale( Ian McKellen ), who directed Frankenstein in. The film was written and directed by Bill Condon. Which follows the loss of creativity, ambiguous sexuality and unlikely bonds between a heterosexual gardener and a homosexual, tortured and ailing filmmaker. In 2004, he appeared in the Academy Award -winning ensemble drama film "Crash", Rick Cabot. It is about racial and social tensions in Los Angeles, California. Paul Haggis served as co-writer, producer, and director. The film received six Academy Award nominations, including Best Picture and Best Director for Paul Haggis, and won three for Best Picture, Best Original Screenplay, and Best Film Editing at the 78th Academy Awards. Also nominated for nine BAFTA awards, and won two, for Best Original Screenplay and Best Supporting Actress for Thandie Newton. In 2016, he appeared in 4 episodes of television series " The Affair", where he played John Gunther. A 12-episode second season of The Affair premiered on October 4, 2015. On December 9, 2015, the series was renewed for a third season, which debuted on November 20, 2016. The series won the Golden Globe Award for Best Television Series. 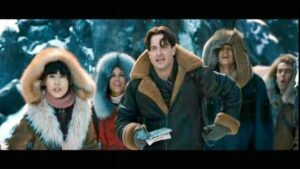 Brendan Fraser on his upcoming film, "The Field", where he will play the role as Charlie 'Charu' Joplin. Have a look his Interview at AOL HQ in NYC for BUILD Series. He has also played in supporting roles, such as "The Passion of Darkly Noon" (1995) and "The Twilight of the Golds" (1997). He also starred in the comedy films, such as Blast from the Past (1999), Bedazzled (2000) and Monkey bone (2001). While his cartoon comedy "Looney Tunes: Back in Action" (2003) was lacklustre, Fraser had some success as a dramatic actor around this time. In 2010, Fraser made his Broadway debut in the comedy Elling. But the show closed, because of poor reviews and weak ticket sales. After that professional rough patch, Fraser signed on several projects, including the 2013 drama Gimme Shelter with Vanessa Hudgens. In 2013, he also starred in the quirky comedy Hair Brained and the action drama Breakout, both of which received tepid box-office returns. In 2015 he returned to television in the western series, Texas Rising. Fraser married to actress Afton Smith in 1998. The former couple has three sons together named Griffin, Holden and Leland. After living together around nine years together they divorced in 2007. In 2013, Fraser hit the media, when he sought to reduce the amount of support he paid to Smith. Fraser claimed: he no longer had the income to keep up with the annual total of $900,000 in payments to her, and the pair had become engaged in a legal battle over the finances. In 2008, Brendan Fraser is rumoured to be dating actress and co-star Maria Bello. In 2015, he has appeared with his new mysterious lady friend. He has accumulated his net worth from his career as a film and stage actor. Brendan Fraser Net Worth net worth is $25 million. Look at some reason, why is Hollywood giving Brendan Fraser the cold shoulder these days?